Cataloochee Ride, Haywood County, N.C.
There’s something very special about Western North Carolina’s mountain towns. Some say it’s the majestic rolling mountains and their beckoning call to be explored, while others say it’s the down-home friendly folks who give you the feeling you’ve known them for years. Each of our North Carolina mountain towns has its own personality and charm, offering an authentic Appalachian experience unlike any other. Nestled in the Great Smoky Mountains, you’ll find main streets lined with historic buildings, restaurants, family-owned stores and trendy shops. 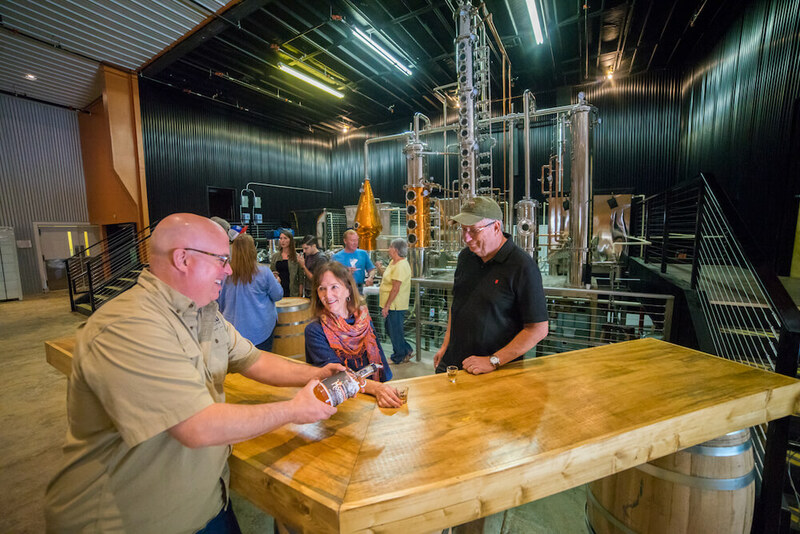 Elevated Mountain Distilling Company, Haywood County, N.C.
Maggie Valley has long been one of North Carolina’s most popular mountain destinations. Maggie Valley offers a dramatic change of scenery and a welcome change of pace. This nostalgic mountain town is the perfect home base for exploring, reconnecting or simply soaking up the view. Not to mention, there are plenty of fun things to do here. Inside the Great Smoky Mountain National Park, you’ll find some of the best hiking in America, along with our famous gang of wild elk. 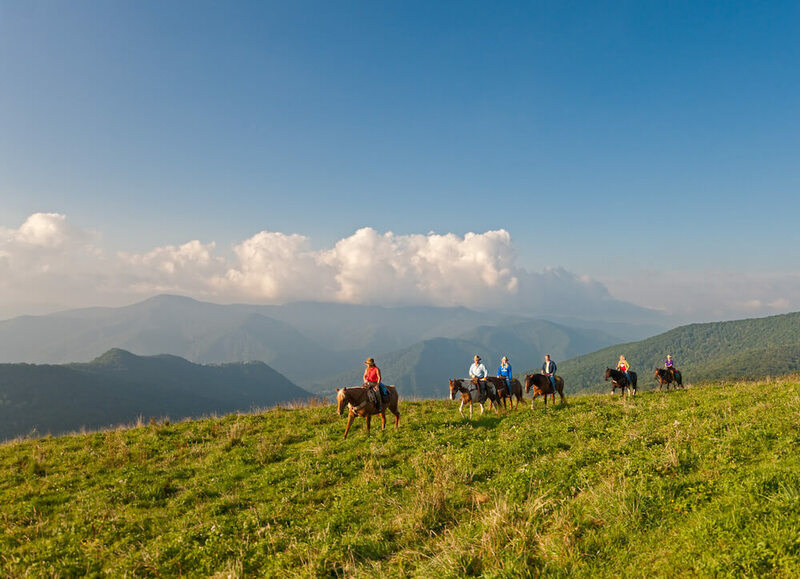 Family-friendly attractions like the Wheels Through Time Museum, Blue Ridge Parkway, Cataloochee Ski Area and Cataloochee Ranch are sure to provide unexpected experiences and lasting memories. Waynesville is the largest town in Haywood County and is a short drive from Asheville, North Carolina. Downtown Waynesville has a quaint, urban charm, perfect for walkable shopping in local boutiques and gift shops for artisan goods. Major attractions include the HART Theatre, Folkmoot USA and the scenic Blue Ridge Parkway. Lake Junaluska refers to both a conference and retreat center and the community that surrounds it. For more than 100 years, Lake Junaluska has been a place for people seeking relaxation, recreation and renewal. Groups can take advantage of a variety of accommodations, while enjoying all the amenities of the lake. Canton is located along the serene banks of the Pigeon River in the eastern region of the county, known for its rich culture and storied history. If you are interested in taking a step back in time and immersing yourself in the culture of Appalachia, Canton is the place for you. The Colonial Theatre opened in 1932; today it serves as a fully equipped movie, theatrical, meetings and conference facility. Clyde is located just west of Canton and is home to several of the county’s most interesting historic sites. It also features the second-largest number of quilt blocks on the Haywood County Quilt Trail, an initiative that features quilt patterns throughout the county. For more information about Haywood County call 1-800-334-9036 or VisitNCSmokies.com. Group Tour magazine connects the decision-makers within the group travel industry. Published eight times per year, each issue of Group Tour magazine is packed with ideas and itineraries to help inspire group travel throughout the United States and the world.